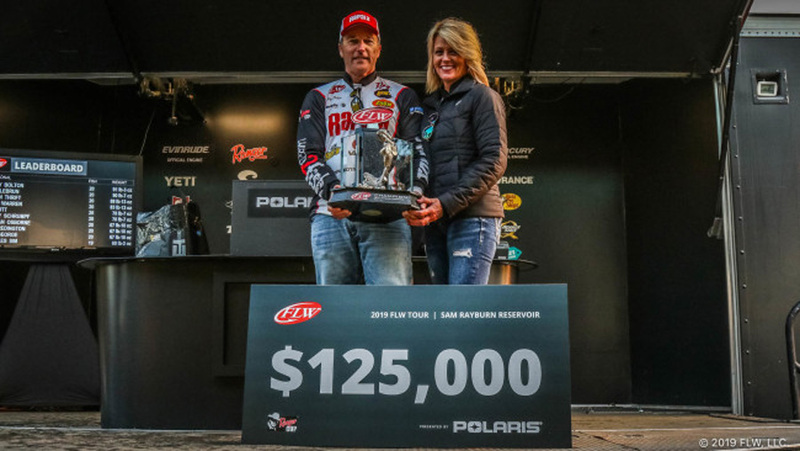 Congratulations to Terry Bolton, on his long awaited FLW Tour victory. An incredible goal achieved after 24 years on the FLW Tour. Also a great way to kick off the 2019 season. Check out the baits he used to seal the deal! Rapala DT10, DT14 and DT16 crankbaits were all crucial in Bolton’s first FLW Tour win. He opted for the demon and Caribbean shad colors and threw his crankbaits with Lew’s BB1 Pro Speed Spool reels with the 5.1:1 gear ratio. The man nicknamed “Blade” for his spinnerbait prowess also caught some quality fish on a white 3/4-ounce Accent spinnerbait and mixed in a few on a Carolina rig with a 5-inch green pumpkin Zoom Lizard. This article was originally posted on FLWFishing.com.